In the year 2014 running a version of Linux from 2001 in VMware is challenging. 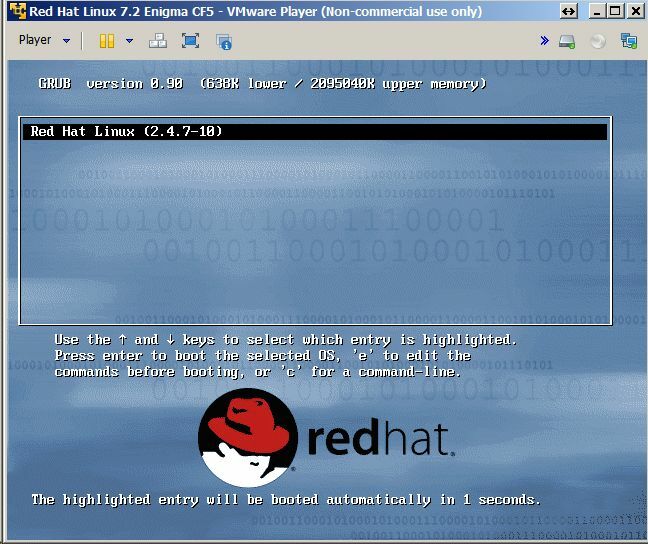 Basically Installing and Running Red Hat 7.2 (Code name 'Enigma') in VMware Player 5.0 on Windows 7 is not easy. I had a curiosity about ColdFusion history and wanted to install and run ColdFusion 5.0 from 2001. Then found an installer for ColdFusion 5.0 targeting RH7.2 on a cdrom in the back of a book. First the VMware Player 5.0 will let you create a virtual machine and boot from a Red Hat 7.2 .iso image to install it. But you have to [catch] the [boot: ] prompt and type [ text ] to avoid running the GUI installer. Then complete the install of Red Hat 7.2 using the text based user interface. After installing, if you want to run an xserver, those provided by Red Hat 7.2 will not be compatible with VMware Player 5.0. They will crash if you try to start them. As part of the vmware-tools configuration process. 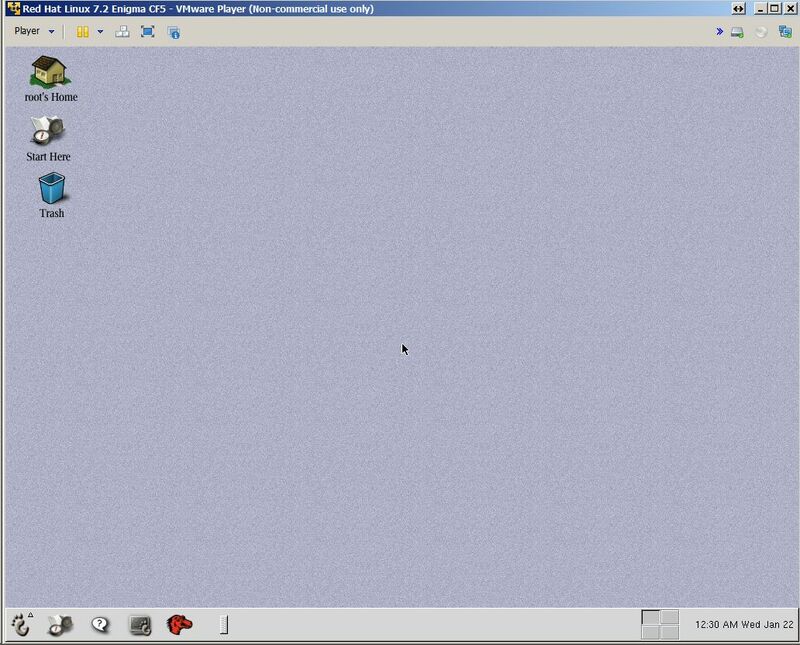 It will install an xserver compatible with VMware Player 5.0 and it will also offer to set the screen resolution, I'd recommend 1024x768. At the command prompt run the [startx] command to try it out. And finally change /etc/inittab [ id:3:initdefault ] run level to 5 if you want to boot to a desktop. "Installation sometimes hangs, due to a kernel bug, a workaround is available. Save the file. Now install the guest operating system. After installing the guest, remove this setting, it may have a performance impact."